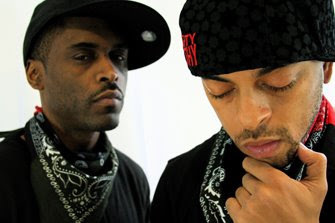 BlackRadioIsBack.com New Music: Paris & A-Alikes | BlackRadioIsBack.com - Official Blog of the Syndicated FuseBox Radio Broadcast! What's up BlackRadioIsBack.com and FuseBox Radio Broadcast Folks! We have some new Black Music here from the RBG (Red, Black and Green) end of the Hip-Hop spectrum from both the East and West Coasts of the U.S. for folks to check out along with some videos that we hope you enjoy or at least get folks to think a little bit. First off, we're going to give the spotlight to the San Francisco Bay Area's long standing activist, producer & MC, Paris. 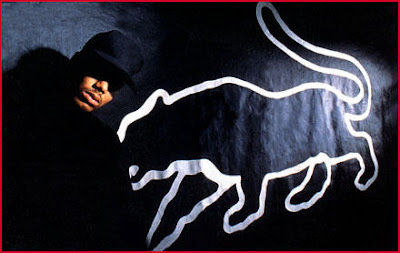 This University of California economics major came onto the national Hip-Hop scene with his brand of hard Black social and political commentary in 1990 with The Devil Made Me Do It album (released on Tommy Boy Records), wich had the MTV banned single "Break the Grip of Shame". Before dropping his follow up album in 1992 (Sleeping with the Enemy ), Paris was dropped by Tommy Boy Records and it's parent company, Time Warner due to fear of it's content, which included the fantasy revenge killings of the 1st President Bush and racist police officers (the track "Bush Killa"). That album was release independently through Scarface Records with critical acclaim and solid sales. His next album, Guerrilla Funk , was distributed through Priority Records in 1993 along with other groups from the Scarface Records label, the most known of which being the Conscious Daughters. After releasing Unleashed in 1997 (which had little funding from the Rykodisc-distributed Whirling Records label), Paris spent time to put together the independent label and media group Guerilla Funk Recordings. Founded as a musical organization made to counter the corporate stranglehold of censorship currently plaguing the Entertainment Industry in general, Paris has used Guerilla Funk Recordings to put out not just his own new and re-mastered classic releases, but those of groups such as Public Enemy, Kam, dead prez, The Conscious Daughters, Mystic, MC Ren, Sun Rise Above, T-K.A.S.H (formerly of the Coup), The S.T.O.P. Movement and more. His latest album, Acid Reflex , is dropping on October 28, 2008 through Guerrilla Funk Recordings and Filmworks, LLC, with distribution from Fontana/Universal. San Francisco, CA - Forget spinners and diamonds, Bay Area rapper/activist Paris is putting his own spin on the "golden ticket" contest: a college education. Three randomly placed tickets will be slipped into copies of Paris' October 28th album, Acid Reflex, on his own Guerrilla Funk Recordings and Filmworks, LLC, distributed by Fontana/Universal. With three guaranteed winners, each prize is a ten-thousand dollar award redeemable as a scholarship towards any kind of post-high school education or towards housing expenses. "We're living in the hardest economic times in recent memory, and this is a perfect way for me to try to ease the pain for my supporters," says Paris. "I realize that money is tight for many people and that music is becoming less and less of a priority when everything is rising but wages. This is not only a perfect way for me to express my gratitude to those who continue to support me, but to emphasize both the importance of higher education and the need to continue to support art of substance." To win, you must purchase an Acid Reflex CD at a physical retail location or online (contest does not apply to vinyl). Upon opening the CD, winners will receive notification stating "CONGRATULATIONS! YOU'VE WON $10,000 FOR EITHER SCHOOL EXPENSES OR HOUSING!" Only winning CD packages will contain notification and details for the claiming of prizes. Non-winning CD packages will not contain notification of any kind. Next off, we have the Brooklyn, New York crew of the A-Alikes. 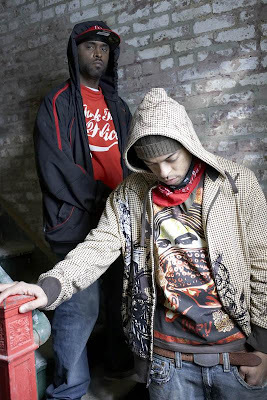 MCs K & Ness have been on the grind for a while through their independent releases (the most recent being the I Eat You Eat album through Nervous Records), as Source Magzine Unsigned Hype graduates and their powerful People's Army/R.B.G. 'z afilliation (which include folks such as stic.man and M1 of dead prez). 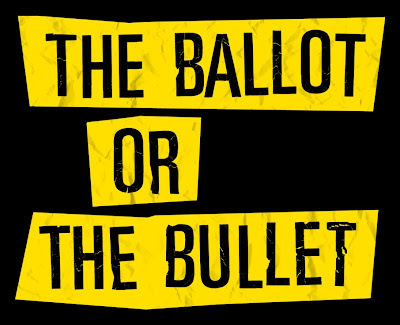 They have an upcoming documentary and soundtrack dropping on October 30, 2008 though Supreme Management/Guerilla Nation called The Ballot or the Bullet. Directed by Paul Biedrzycki, this film's focus is not just following the A-Alikes while on tour the past few months, but to see and find out various viewpoints what is truly the meaning of "change" in regards to the U.S. Political Season with the upcoming Presidential Election. Folks like Chuck D of Public Enemy, Joy Bryant, Rosa Clemente, Immortal Technique and others are interviewed throughout the documentary about this issue. The preview looks interesting and hopefully, this will be a thought provoking project along with being a quality "music artist on tour" video.